Bargemusic returns this weekend from a winter break with three exciting concerts. 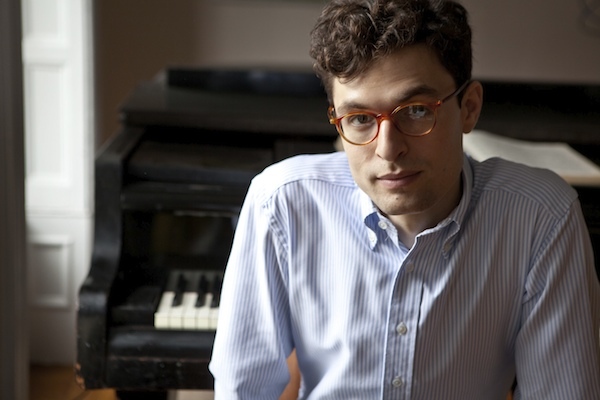 On Friday evening, March 9 at 8:00 pianist and composer Timo Andres (photo, by Michael Wilson) will play works by himself, as well as by composers Caroline Shaw, Christopher Cerrone, Eric Shanfield, and Leoš Janáček. On Saturday evening, March 10 at 6:00 the Cassatt String Quartet, along with Doris Stevenson on piano, will perform works by Zachary Wadsworth and Dvorak. On Sunday afternoon, March 11 at 4:00 the Alaria Trio will perform works by Shostakovich, Kodaly, and Brahms. There are details for each concert and you may buy tickets here.